Following the recent reveal of the new Black Shark 2 handset in China, gaming technology company Black Shark has announced that it is now available in the UK. 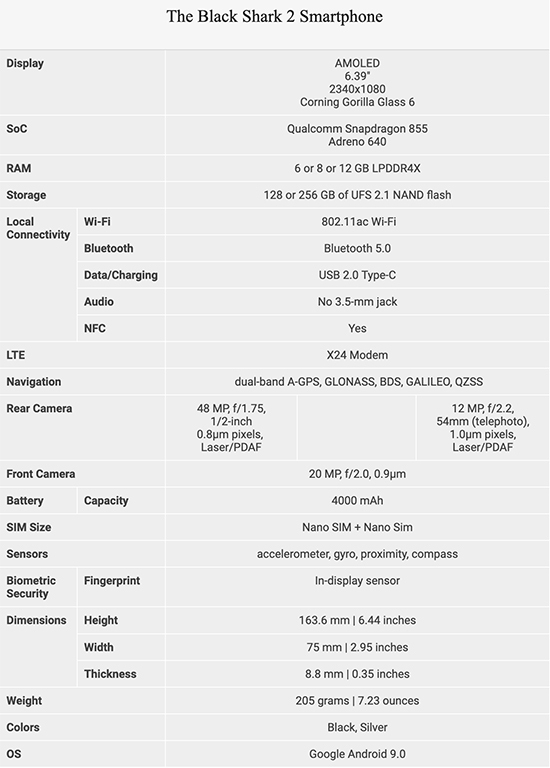 Two versions of the phone are being released in the UK via the official website https://eu.blackshark.com/. Providing an unmatched gaming experience, the Black Shark 2 boasts a pressure sensitive 6.39-inch AMOLED display. Specifically designed to reduce screen flicker at low brightness, improve color accuracy and reduce touch latency, it also allows players to achieve differing on-screen actions depending on how hard they press. 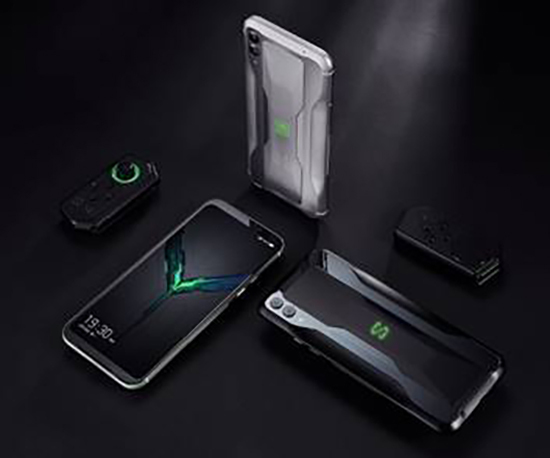 Befitting a device dedicated to gaming on the go, the Black shark 2 also packs a fast-charging 4,000 mAh battery, the latest Snapdragon 855 processor and Adreno's new 640 GPU; offering a 20% performance increase over the Adreno 630. Along with the best chipset available in the market, the Black Shark 2 also utilises an innovative liquid-cooling system to ensures maximum performance from both the CPU and GPU - 20x more effective than traditional cooling.